Why January, February, March, Etc.? We are close to embarking on a new year once again — 2012, which has received a lot of attention because of the Mayans. However, we owe much more to the Romans for our calendar. The 12-month Julian calendar was introduced around 46 B.C. For Amaze-ing Words Wednesday, we’re going to look at how we got the names of the months. Why January? February? March? And so on. Quick note: “ary” means pertaining to and “ber” is simply a suffix. 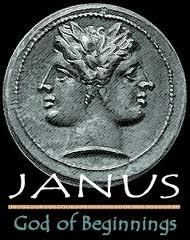 January – From Janus, a two-headed god whom the Romans adopted perhaps from ancient Italians. Janus is the god of gates and doorways, beginnings and endings. Thus, it is appropriate for him to get the first month of the calendar; moreoever, it was his festival month during which Romans exchanged lamps to provide light for the coming year. February – Februa, or Februata, was a Roman festival for purification. It revolved around the Italian god Februus, and the festival seemed to focus on shepherds and fertility. Without going into detail, let’s just say that it involved touching sacrificed goat parts for good luck. March – Named after Mars, the Roman god of war. Apparently, wars took a break during the harsh winter months, but March was a good time to return to the battlefield. In addition, there was a festival for the war god during this month. 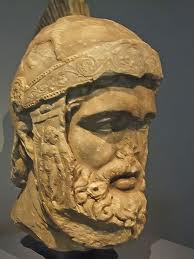 Mars was especially honored because he was considered to be the father of Romulus, the founder of Rome. April – A little confusion on this one. April may derive from the Latin “aprire,” meaning to open. Indeed, this is the time of year when buds began to open. However, another theory is that the month is named for Aphrodite, whom we know more often as Venus (at least if you listened to Bananarama like I did). The name could come from Aphrilis or from Apru (the Etruscan equivalent of Venus/Aphrodite). Anyway, Aphrodite’s the love and beauty gal, and this suggestion also makes sense because spring is known for its appeal to lovers. May – Maia is the Roman goddess of fertility and spring. It’s easy to see how she snagged this month’s title. June – Juno to many of us is the main character in a great movie by the same name. 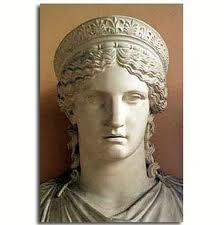 However, the original Juno was queen of Roman goddesses and married to Jupiter (in Greek, Hera and Zeus). She was considered a protectorate of the Roman state. July – Forget the gods for a couple of months; now the Roman emperors get their props. This month was named for Julius Caesar, a guy who enjoyed the limelight. This was his birth month. August – The first official Roman emperor, Augustus, son of Julius Caesar, honored himself by naming a month after his name as well. Augustus replaced the original month’s name of Sextilis (sixth month). September – Septem means seven (remember septagon in geometry? ), so September is simply the 7th month. Wow, that was easy. Except that it isn’t the 7th month! It’s the 9th, right? Well, originally the Roman calendar began in March, so September was the seventh month back then. I guess when January took the lead, it was too hard to change the names of these months. October – Octo means eight (octagon and octopus! ); thus, 8th month. Which you now know it originally was, way back in the 40’s B.C. November – Novem is nine, so here we go with the 9th month, which is really the 11th. December – Oh, you are so catching on here: You don’t even need me to tell you what “decem” means, do you? Think decathalon, decimate, decagon . . . Uh-huh, 10th month. Which is really the 12th. When I look at the meanings of our month names, they seem to have ABSOLUTELY NOTHING to do with our lives today. We English speakers don’t really recognize Roman gods and goddesses and those last four months are complete misnomers. It makes me wonder if we shouldn’t revisit what we call those 12 markers of time in our year. Surely it would be easy to make a switch. Perhaps as easy as we made the switch in the United States to metric measurements – which we were assured would happen back in the 1970s. So did you know the origins of the months of the year? What do you think about our names for them? Should we let August become October to fix the mismatch?